It’s a Wednesday morning and we’re swimming beneath Mexico’s vast, flat Yucatán Peninsula, exploring one of its myriad ‘cenote’ caves with just a diving mask. Exhaling, we empty our lungs a little and begin to sink. Suspended in the glass clear, blue-tinged water, we peer into absolute darkness – a total and utter blackness beyond the staglamites, which rise up like pale, ghostly towers from the depths. Gazing into this abyss, we freak out just a little. The cave suddenly becomes a dead, eery place. Kicking to the surface with hearts pumping, we get a fleeting sense of what places like this must have felt like to the Maya, who saw these cave systems as entrances to their underworld – Xibalba – much like the ancient Greeks located the entrance to Hades at a cave on the coast near Cape Tenaron on the southern tip of the Peloponnese. After catching our breath, we take another inhale and brave another dive. This time, pushing further along the underwater wall, we see a sign warning against swimming any further, a hand-drawn skull and crossbones reinforcing our earlier freak out. 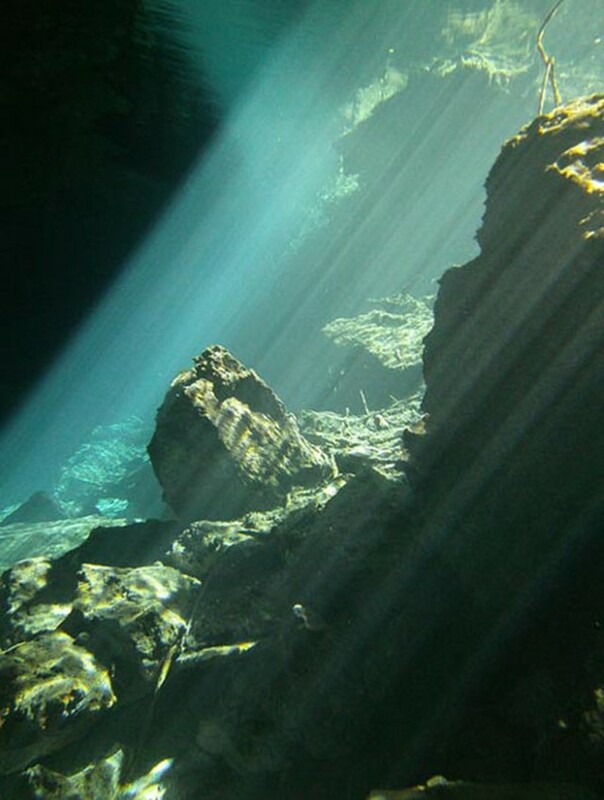 Of course, if we had scuba gear and a local guide we could push further into the cenote, lighting our way with flashlights, but there’s something nice about limiting ourselves to a single breath. Turning away from the darkness, we start back towards the light, which grows brighter with every stroke. Small fish dart past in the dappled sunshine, and hell becomes heaven again. Back in the main chamber, daylight streams in through the trees above and birds flit amongst the branches. We climb out, lie back and dry off in the tropical sun. 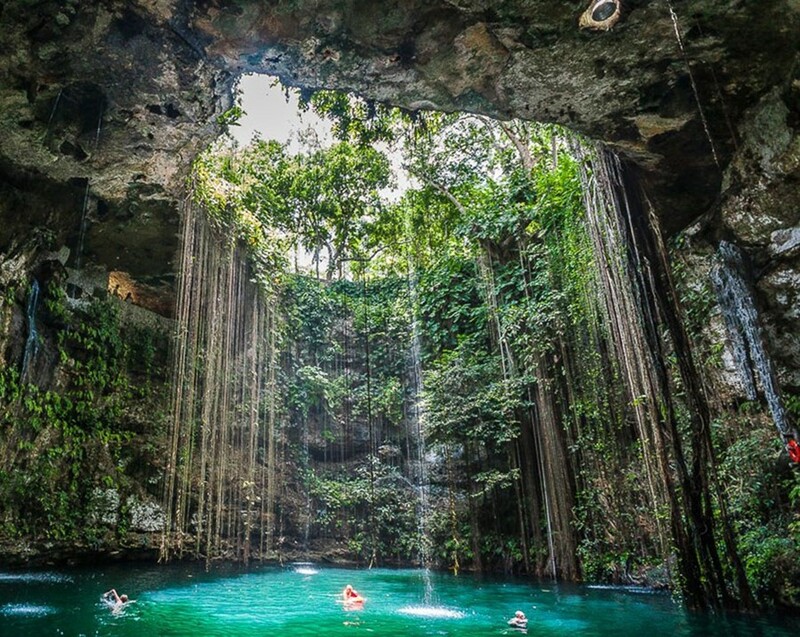 The 2,241 known cenotes dotted all across the Yucatán are the result of slightly acidic water filtering through and eroding the soft limestone, but some are also linked to something much bigger: the asteroid that struck the earth and wiped out the dinosaurs some 65 million years ago. Back then, this part of the planet was still very young – having slowly built up year after year from the coral reefs which thrived in the region’s warm, shallow seas. As the limestone slowly rose above the waves, plants and animals soon colonised the surface. Sea levels rose and fell, alternately flooding and draining the caves, causing some of their roofs to collapse to create the openings we see today. Over aeons the action of rainwater and seawater formed vast sinkholes and underwater caverns – some of which have been explored and stretch over 100km under the peninsula. When a 10km-wide asteroid from deep space slammed into this idyllic scene, it created some of the largest mega tsunamis the planet has ever seen, throwing up a massive cloud of debris that encircled the Earth and led to one of the greatest extinctions ever seen. Centred off what is currently the north coast of the Yucatán near the village of Chicxulub, the vast crater was only uncovered in 1978 when geophysicists looking for oil discovered the telltale signs of a massive impact. Seen from later space missions, a string of cenotes running from Celestun on the west coast around to Dzilam de Bravo in the east mark a clear semi-circle around the edge of the crater. 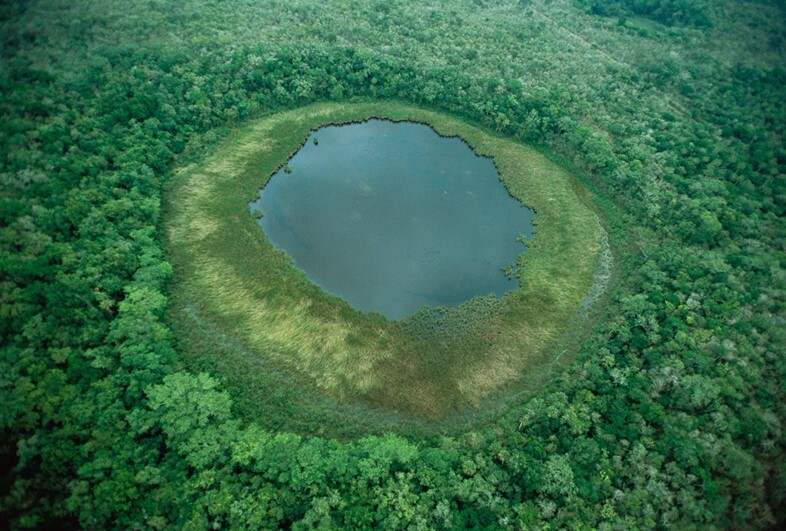 In 2012, UNESCO recognised this ‘Ring of Cenotes’ as a natural World Heritage Site, and the 99 sinkholes which form the site are now protected as Wetlands of International Importance. There are sinkholes all over the Yucatán, with easily accessible (though obviously more touristy) ones located near Tulúm, Playa del Carmen and the resorts of the Mayan Riviera. 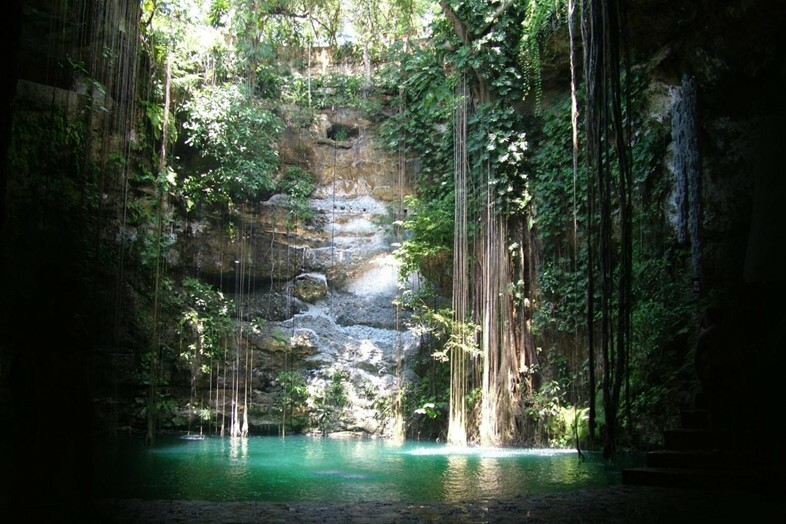 To visit the northern Ring of Cenotes on a eco-tour, check out Yucatan Cenote or Mayan Eco-tours. Remember not put on sunscreen before you go swimming in a cenote, so as not to damage the fragile ecosystems they contain. Touch nothing and take any rubbish out with you.